Pair the Baby K’tan wrap with a Peachtree Teething necklace or a Baby K’tan Diaper Bag! 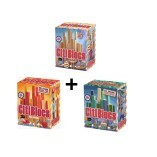 SKU: BKBC-. Category: Baby K'tan baby carrier. Tags: active baby carrier, active carrier, attachment parenting, baby carrier, baby gear, Baby K'tan, baby k’tan active carrier, baby k’tan breeze carrier, baby k’tan organic carrier, baby wearing, babyktan, babywearing, breathable, breathable carrier, breathable fabric, breathable infant carrier, breatheable, breeze carrier, cotton carrier, easy to use, front carrier, infant carrier, on the go, simple, sized carrier, sling, sling carrier, smart, Smart. Simple. Stylish., stylish, travel carrier, wrap, wrap carrier. 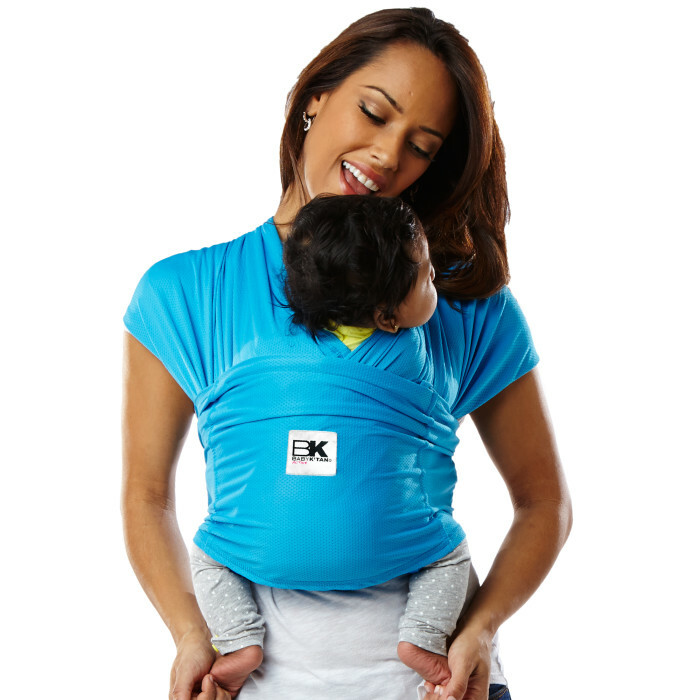 The Baby K’tan Breeze wrap is sized to fit the parent or adult who will be carrying the child (age or weight of child is not a factor). 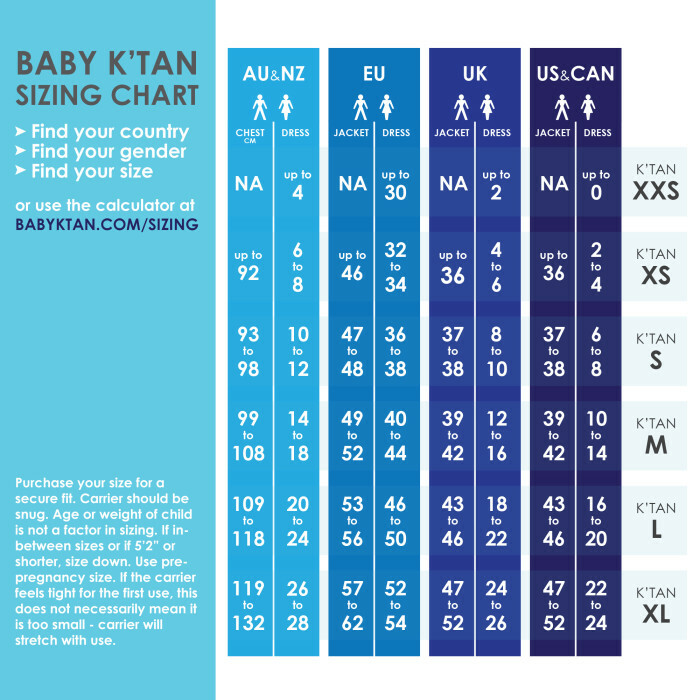 Use our sizing calculator to determine your mesh baby carrier size. Simply enter your clothing size, height and weight. The Baby K’tan should fit snugly in order to provide a secure hold. Enter your pre-pregnancy sizes and if you fall between categories, size down. The carrier may feel tight at first, but will stretch with use. See more sizing info here. Comfortably carry baby from birth to toddlerhood. 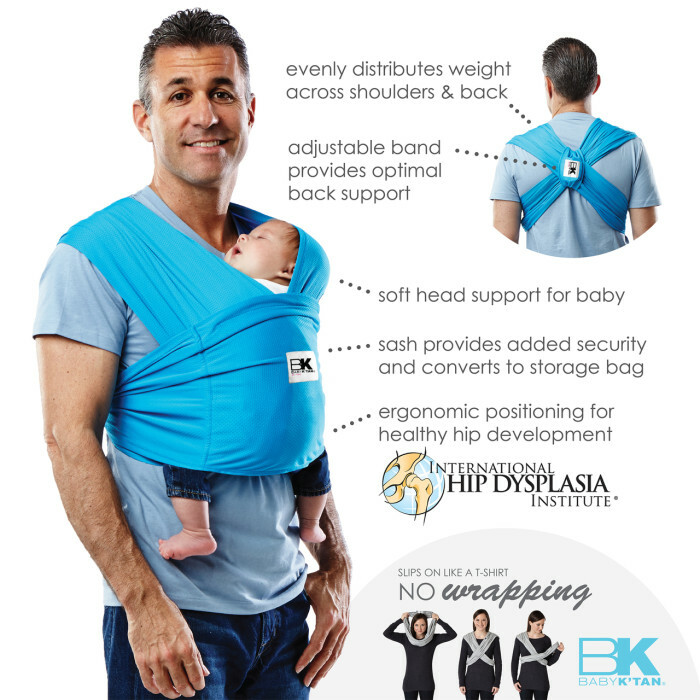 The Baby K’tan Active wrap offers 5 different wearing positions for the various ages and stages of baby’s development. 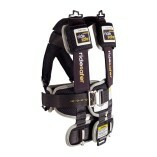 Quickly switch between carrying positions without having to remove the carrier. No wrapping, buckling or fussing with rings or snaps. 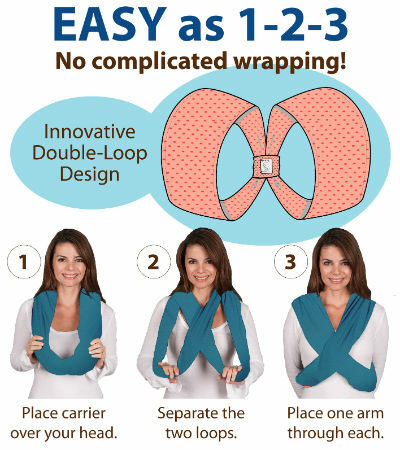 The Baby K’tan Active wrap has a patented double-loop design that is quick and simple to put on and take off. Just slip it over your head like a necklace and put one arm through each side. The patented double-loop design makes distributing baby’s weight as easy as the pull of a loop. Pull down on the back loop to raise baby up on your body and distribute his/her weight evenly and comfortably. 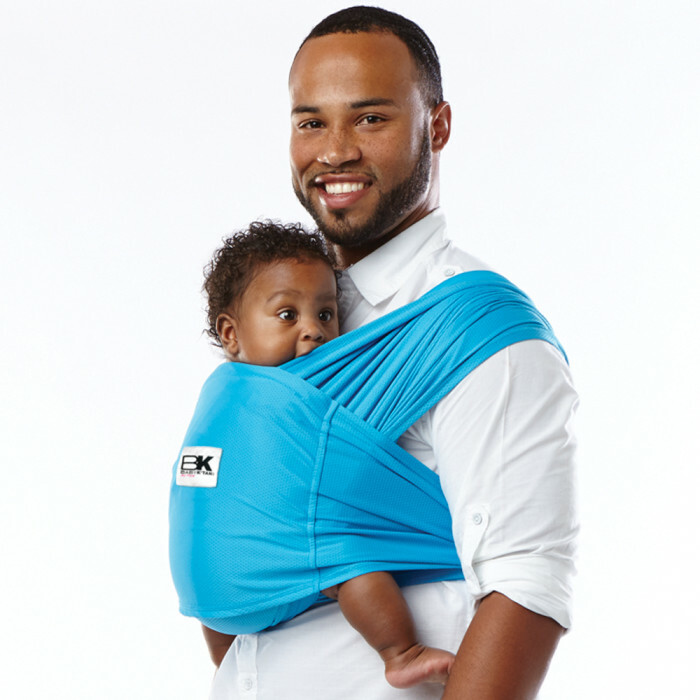 The Baby K’tan ACTIVE Baby Carrier is made of a hi-tech sport fabric. This performance fabric wicks away sweat and moisture, blocks over 90% of the sun’s harmful UVA and UVB rays, and has a unique temperature control to help keep parent and baby cool. 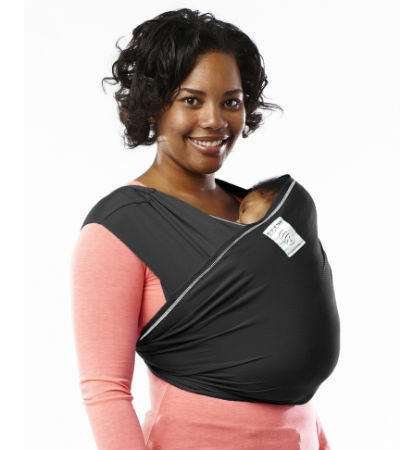 The Baby K’tan ACTIVE Baby Carrier is a wrap-style carrier without all of the wrapping. 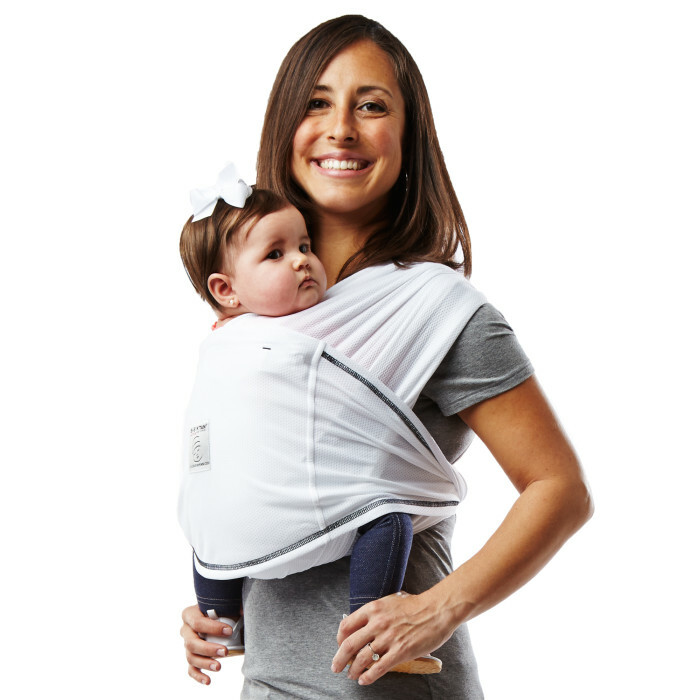 It offers the same great features and benefits as the original Baby K’tan Baby Carrier but is made of a breathable hi-tech performance fabric that wicks away moisture and sweat, blocks over 90% of the sun’s harmful UVA and UVB rays, and provides a unique temperature control for parent and baby. Sized to fit wearer, the Baby K’tan ACTIVE Carrier slips on easily like a t-shirt to comfortably carry baby from newborn to toddlerhood. Its patented double-loop design is lightweight and compact like a sling, yet supportive like a structured carrier. 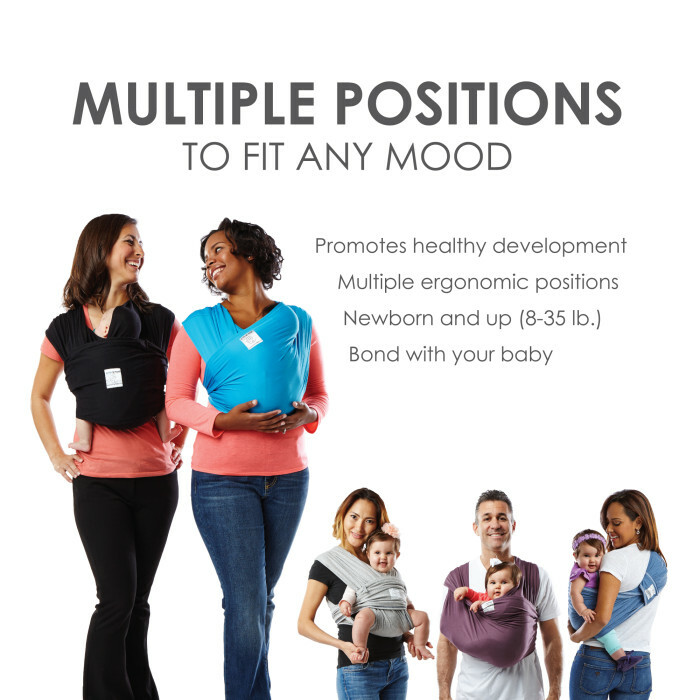 Offering multiple positions, the Baby K’tan ACTIVE Baby Carrier provides security for carrying baby and privacy for mom while nursing. 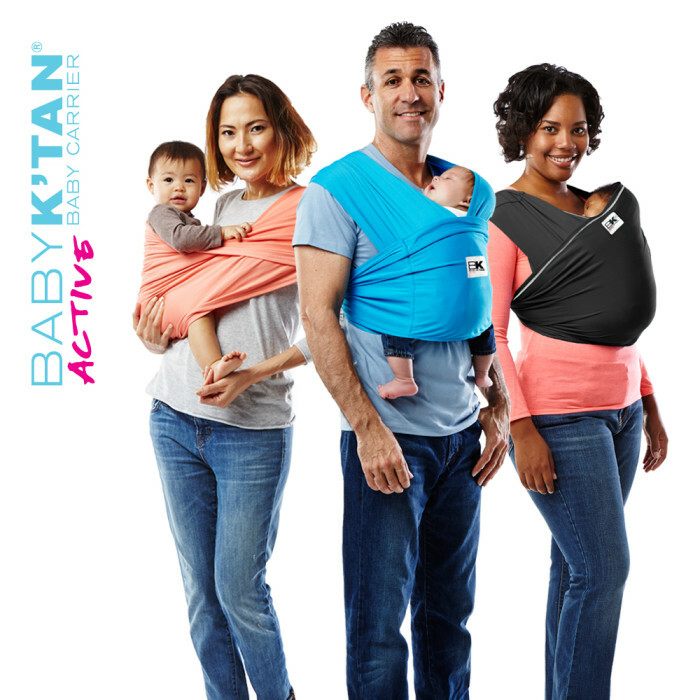 Available in multiple colors, the Baby K’tan ACTIVE Baby Carrier is machine washable, dryer safe, and comes with a matching sash that converts to a carrying bag. Free of harmful chemicals, formaldehydes and azo dyes, and contains no hardware, plastic or metal. 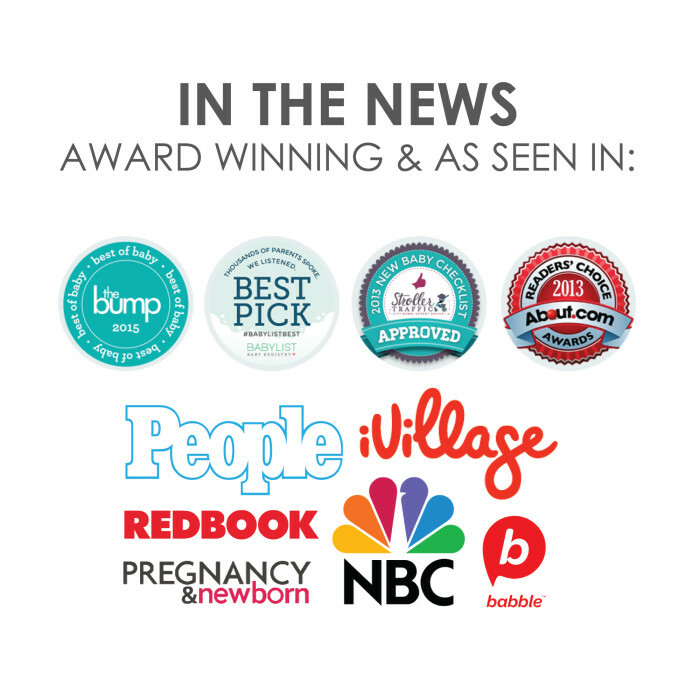 Winner in the 2017 The Bump Best of Baby Awards, Baby on the Go category. To choose the right size, you can refer to the sizing chart or use the sizing calculator in our FAQ section. If your size is unavailable, please contact us for pre-orders or notifications upon new arrivals.